Jessica Nabongo in Lilongwe, Malawi. 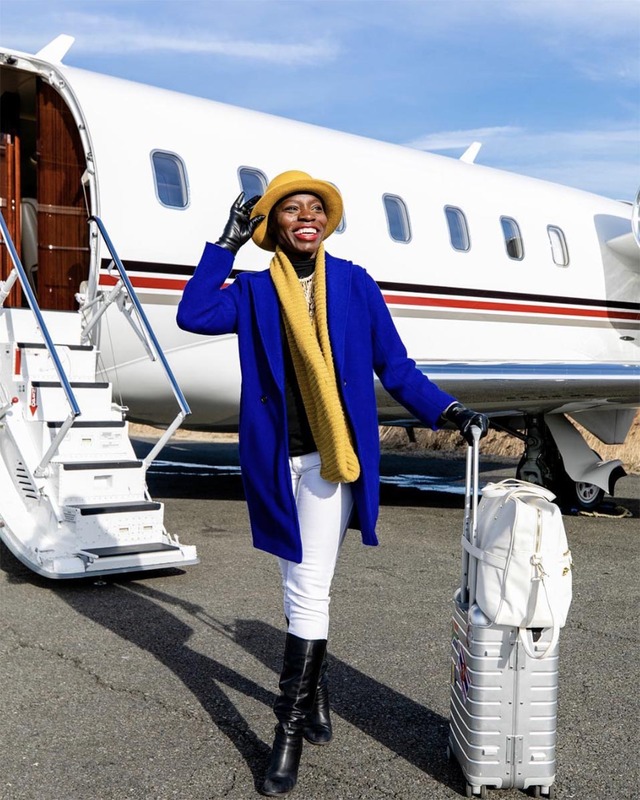 Jessica Nabongo is on a mission to become the first black woman to visit every country in the world. And at age 35, she’s soon set to achieve it; at the time of speaking she had reached 162 of 195 countries, and was set to visit 2 more in the following week. Catching her in Dubai, the day before she flew to Turkmenistan and then on to Azerbaijan, we spoke to Jessica about her inspiration, her journey so far, and her experiences navigating the world as a solo black female. What made you decide to take on this challenge? At what point did you decide you were no longer travelling for pure pleasure, but that you wanted to achieve this? I’ve always wanted to travel to every country in the world; I’m a geography nerd. I’ve been travelling since I was young, my first international trip was when I was 4 and we went to Canada. But what I didn’t know is that travelling to every country in the world is a thing that people pay attention to. It was just something I always wanted to do. In February 2017 I found out about Cassie De Pecol, an American women who holds the Guinness World record for visiting every country the fastest, so I did some research into it and discovered that no black woman had completed this feat - that’s when I decided I wanted to be the first black woman to do so. I wanted to do it by my 35th birthday, which is not happening. But I will do it while I’m still 35. Did this decision change the way you travel? It changed the way that I travel in that I shoot a lot more than I used to. But, if you scroll back through my Instagram before February 2017, you’ll see that I’ve been travelling for a long time. Before Instagram existed I’d been to more than 30 countries, I’ve lived in 5 countries across 4 continents - I was already doing this well before social media. What changed is that when I decided I wanted to be the first black woman to visit every country in the world, I knew it was a very public thing, so I knew I also needed to share my journey more. I still travel in the same way, in that I’ve always been a very conscious traveller, but now I’m a lot more deliberate with how I share my travels and how I want to represent countries. I think that’s the biggest point. How has travelling as a solo black female been for you? It’s challenging. Because I travel so much, I enjoy certain comforts. Also because I travel so much, I’m regularly a priority passenger or am upgraded to first class. And I’m often the only black woman in those spaces so I’m battling against people who are questioning why I’m there, against people who do not want me to be there, and against people who feel like as an African woman I have a place which is pretty low on the totem pole. I don’t feel that way - so a lot of the time the challenge that I’m finding is that my race and my privilege are having a head on collision. In many people’s minds if you’re an African and you’re a woman, you shouldn’t have privilege. But I do have it, for a number of reasons; my father had the opportunity to go to the US and study at university before Uganda even had independence, and my mother is a registered nurse, also with a university degree. Because of these opportunities they had, they were able to give me certain opportunities which have cemented my life in very specific ways, and offered me certain privileges. So I’m in these spaces when I travel - and there’s not a lot of people who look like me - and that’s tough. I know some people won’t understand this, instead thinking that I shouldn’t be complaining because someone treated me badly in first class and thinking it’s just #firstworldproblems. But the fact of the matter is that there’s a lot of challenges while travelling as a black person, as a black woman, and as visibly African. Honestly, if I wasn’t travelling as much as I do (last year I took 150 flights and this year at four months in, I’ve already taken 50) it wouldn’t be as big of a deal, but because I travel so much there’s a lot of interacting with people who don’t think you belong where you are. I feel I’m constantly being beat up, left right and centre. I try to be very open about this on my social media so people understand the emotional toll that it’s taking on me. I’ve had bad experiences and sometimes I’ve even been ready to quit, to throw it all in - but I have to remember the I’m doing this to change the narrative, I’m doing this to give people an alternative image of a traveller. The most important thing to me is changing the narrative around certain countries and around black people travelling. In 2015 I started my own travel agency, called ‘Jet Black’, and the focus is travel to Africa, Central and South America and the Caribbean. The original tag line for the company was ‘changing the narrative’. So doing what I’m doing now has offered me a phenomenal opportunity to offer alternative views of countries that we typically only see in a negative light. You hold both an American and Ugandan passport but always try to use the Ugandan one, where possible. Can you tell us why this is important to you? I do. Though, I’m hitting a wall at the moment as I only have 2 pages left in my Ugandan passport and it’s really hard to get a renewal. But yes, I use my Ugandan passport anywhere that UG has visa on arrival or visa-free travel. If I have to apply for a visa with either passport, I’ll always chose to use the Ugandan one. It’s important to show that Uganda and Africa has tourists. There’s this idea that we’re only looking to travel if we’re emigrating somewhere, but I want to show that no, some of us are just tourists. Long before I visited Iran, I remember seeing a Ugandan woman on Instagram who went, and was given visa-on-arrival. I thought great, we get visa-on-arrival. Super cool. I subsequently also heard from other Ugandans who had been there. I think by us going ahead as tourists it makes it easier for the people coming behind us. It makes it easier that people are a little less suspicious - and that’s why I try, where I can, to use that passport. It’s one thing to want to visit a country, and another to organise logistics and visas. How have you navigated the visa processes? 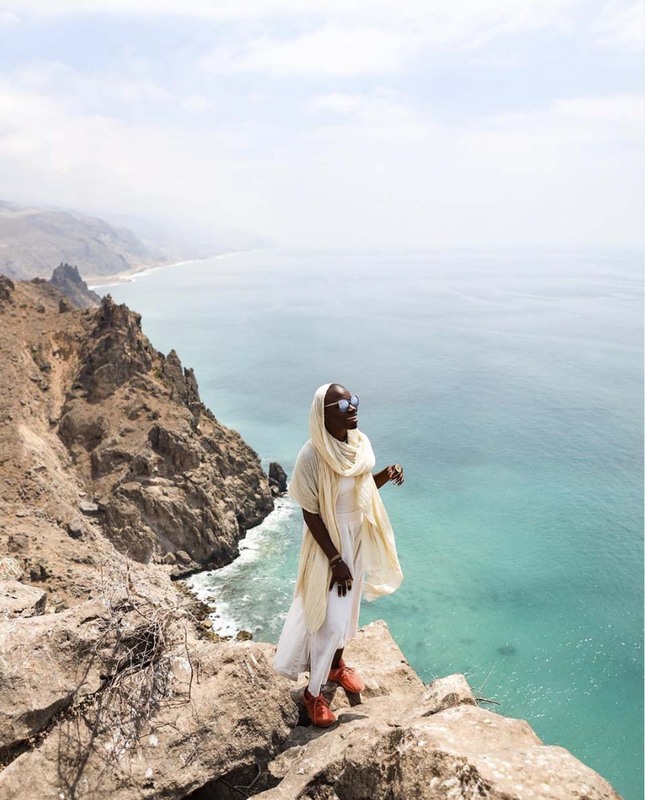 Jessica Nabongo in Yemen, April, 2019. I’ve been super lucky. I’ve been to 162 countries and I’ve only had to apply for 12 visas through an embassy. I have 11 left that I have to apply for. Having the Ugandan passport has helped with this. For example, getting an Eritrean visa is super hard but Ugandan’s are the only people in the world who have visa-free access. In the Central African Republic, Americans have visa-free arrival. Equatorial Guniea is also a notoriously hard visa but Americans are again visa-free. In Iran, I get visa on arrival. For Afghanistan I literally went to an embassy in Kazakstan and begged them until they gave me the visa. I just refused to leave the embassy and I was there for 3 hours, but they ended up giving it to me. I’ve just been super lucky up to this point, but now I’m facing some challenges - mainly Syria and Venezuela. I’m trying to figure out how I’ll get those visas in the next 6 months. And how about safety when you’ve visiting countries that people might typically deem unsafe? Oh, I don’t even think about that. There’s no country in the world that is completely safe, and there’s no country in the world that is completely unsafe. You can find areas of any country that are safe. For example, I was in Yemen last week and I travelled there via the Omani border - it was completely safe. There was military there but it wasn’t intimidating. Actually between Oman and Yemen, the locals are crossing regularly - the guy that I was with lives in Oman and has family in Yemen. They often cross because of their camels - his farm is in Yemen and sometimes they have to guide the camels across. It’s pretty safe in that area even though the world would have you thinking it’s a complete war zone. Can you name any stand out places from your travels? Abu Dhabi’s Sheikh Zayed Mosque is, to me, the most beautiful modern structure in the world. I’ve never had a favourite country and I won’t go as far as to say, but Iran is probably the most beautiful country I’ve ever been to. The Jameh Mosque…I don’t even know what words to use to describe it. Phenomenal? It’s really mind-blowing. What’s been really interesting during this journey is that the places that I’ve considered the most beautiful are either beaches (such as Maldives, Zanzibar and Antigua) or Mosques. Mosques are some of the most beautiful buildings in the world. What’s next? What comes after this? I think sleep is priority number one. But I’m also working on a book and a documentary. There’s a lot I want to do but I think most important is focussing on consulting in the travel space; working with large corporations to number one, reduce their use of single-use plastics (the travel industry is one of the biggest culprits). And then number two, to diversify marketing and advertising, globally. - Follow Jessica as she travels via her social media pages: Instagram, Facebook, Twitter. - Share Jessica’s journey using our social icons below.